Note: This post was actually my essay for my English exam this morning. 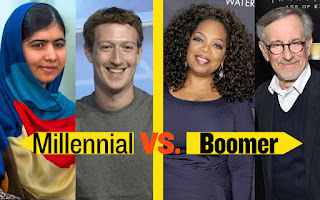 All credit for the topic (How my generation socializes differently from my parents') and the title of this post go to my teacher, Mrs. Shobha K.
Millennial introduction: Hello, fellow millennial! How is your suffering? Baby boomer introduction: Greetings, O almighty reader! I know, sounds weird, right? Not least because people don't actually greet each other that way. They never have. It does, however, highlight something that I really want to talk about: that millennials and baby boomers socialize in very different ways. Myself, I'm a millennial. For those of you that don't know, that means that I invest poorly and can't buy property because I spend all my money on avocado toast. At least, that's what the Gen X millionaires would have you believe. 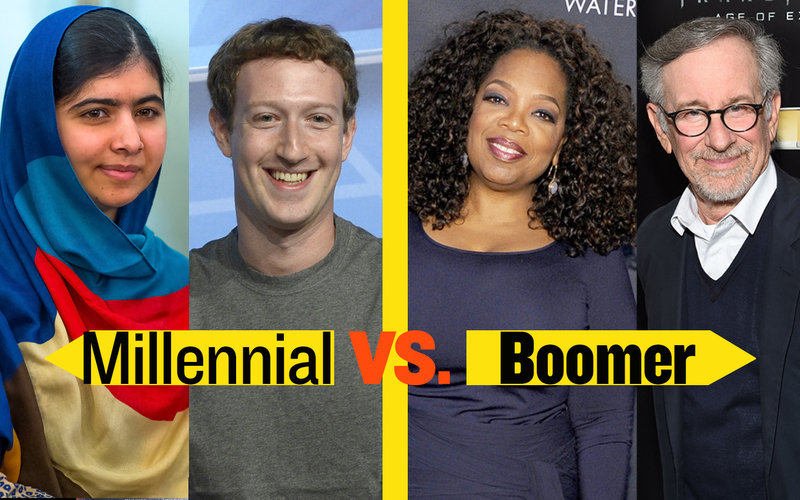 A lot of Gen X-ers would also have you believe that Gen Y does not know how to socialize, does not know how to converse. I'd like to respond to those allegations in a typically angsty, millennial fashion: "You baby boomers just don't understand us!" The thing is, we do know how to socialize. We haven't "forgotten how to have a conversation." We just don't socialize the same way you guys did. One of the most common explanations baby boomers have about why we don't talk to each other is that we're always on our phones. The thing is, though, a lot of the time that we're on our phones, we're doing exactly that - talking to each other! WhatsApp, Snapchat and DMs are where we have our conversations. Another form of millennial socialization that seems to elude baby-boomer understanding is video games. "Get off the computer and go outside! Make friends!" They say, completely failing to account for the fact that there is no one outside to make friends with, because everyone is inside playing video games. They're busy mashing the buttons on their controller, watching themselves be repeatedly beaten by some guy out of Korea or Russia. If not to make friends, then at least for the sake of our country's honour, let us play Call of Duty in peace! Also, please stop asking us to pause our games when we're playing online. Pausing Battlefield 3 during a co-op match doesn't mean that the game stops, it means that your team is being decimated because you're too busy taking out the trash to provide them with the sniper support they need to win. I get where you baby boomers are coming from, though, I really do. When I see five teenagers at a table in a restaurant and all of them are looking at Facebook on their respective smartphones instead of talking to each other, it annoys me at least as much as it annoys you. All I'm asking is that the next time your teen pulls out her phone when she's laying the table, please don't assume she's just wasting time. Also, for goodness' sake, stop blaming all our problems on avocado toast.